A corporation is owned by shareholders, however, it is the corporation that is held accountable for its actions and debts. The shareholders are not legally liable for any debt that corporation incurs or actions that the corporation takes. Of all the structures of businesses available, the corporation is the most complex due to the selling of stocks and having shareholders. There are many advantages and disadvantages of a corporation. Some of them are listed below. Corporations have many advantages including protecting shareholders from legal action. Corporations also are the largest business entity and provide jobs to more employees. They are eligible for tax breaks or credits. Corporations are also long lived as they are held by shareholders instead of simply one owner. Here is a list of the major advantages of a corporation. A corporation protects the shareholders from legal action and protects their personal assets in the event that the corporation is sued, goes bankrupt or is bought out. The shareholders are not responsible for any taxes incurred by the corporation. The corporation itself is required to pay corporate taxes, whereas the shareholders are responsible for personal taxes on any dividends payed to them from the corporation. When a business is incorporated, it is not longer owned by a single person, so when the founder dies, the corporation does not. The shareholders now own the corporation and that makes the corporation everlasting. Should the corporation be dissolved or merged, it is a more simpler procedure than having to start a new business from scratch. Typically, to merge a corporation the shareholders are the ones who change. Expansion and raising funds is easier for a corporation. Stocks are sold at varying levels and it is through the sale of the stock options that allows for more investors to come on board and for the corporation to raise more funds. Corporations are considered to be more credible. Lenders, suppliers and even customers are more comfortable doing business with a corporation rather than a small business. Although a corporation has many advantages, there are also disadvantages. Taxes and start up costs are reasons to rethink incorporating a business. The amount of paperwork required is also another disadvantage. Corporations are complex entities that require a lot to keep them viable. Here is a list of some of the disadvantages of a corporation. There are several fees associated with converting a business into a corporation. There are also ongoing fees that must be paid every year. They are taxed twice. Once when the company turns a profit, there is a corporate tax rate on the profit. Then there are taxes paid on the shareholder dividends. Dividends paid are from the profits made, therefore the profits are double taxed. Paperwork for a corporation is intense. Annual reports and corporate tax returns are required for the government. Other paperwork required are accounting records, shareholder meeting minutes, board of director minutes and licenses. There are federal and state mandates that corporations must follow. 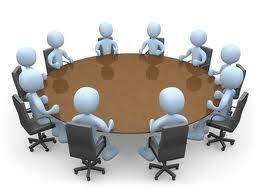 For smaller corporations, family members are not allowed to sit on the board of directors at the same time.